Now everyone can become co-creator and co-user of the largest detector of cosmic ray particles in history – as well as a potential co-discoverer. All you need is a smartphone and the CREDO Detector application turned on overnight. Under development for over two years, the CREDO project is entering the era of its maturity. On Thursday, at the Institute of Nuclear Physics of the Polish Academy of Sciences in Cracow, the “first light” of the detector was presented, that is, the first data of scientific value, collected by the smartphones of project participants from around 20 countries. “Contemporary science faces challenges of exceptional technical complexity. With the cost of construction of current accelerators and detectors running into billions of euros, often taking decades to build, any alternative, well thought out design is worth our attention. That is why, together with our partners, we have become involved in the creation of CREDO, a project that is not only cheap and relatively easy to implement but, above all, with social commitment, able to provide exceptional data on the most fundamental aspects of our physical reality,” says Prof. Marek Jezabek, director of IFJ PAN. 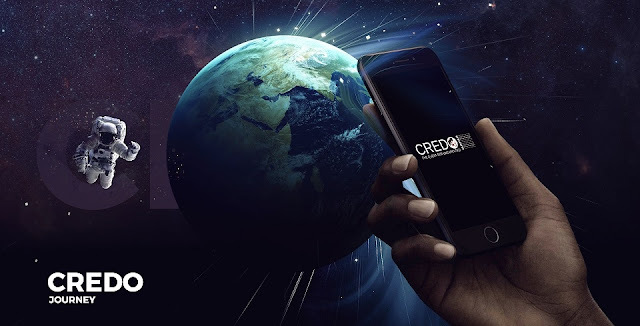 The CREDO Detector application, available for smartphones with the Android operating system, is being developed as part of an international initiative initiated and coordinated by scientists from the IFJ PAN. The maintenance and development of this app is supervised by the Cracow University of Technology, and the Academic Computer Centre Cyfronet of the AGH University of Science and Technology in Cracow supervises the collection and processing of data. The project is co-financed by the governments of the Czech Republic, Hungary, Poland and Slovakia through the Visegrad Grants program as part of the International Visegrad Fund (IVF). “Several thousand users participated in the earlier CREDO project tests. In turn, the data and graphs presented today are the result of the involvement of several hundred science enthusiasts from around 20 countries. The more of us there are, the greater the chance of valuable discoveries,” says Dr. Piotr Homola (IFJ PAN), managing the CREDO project.